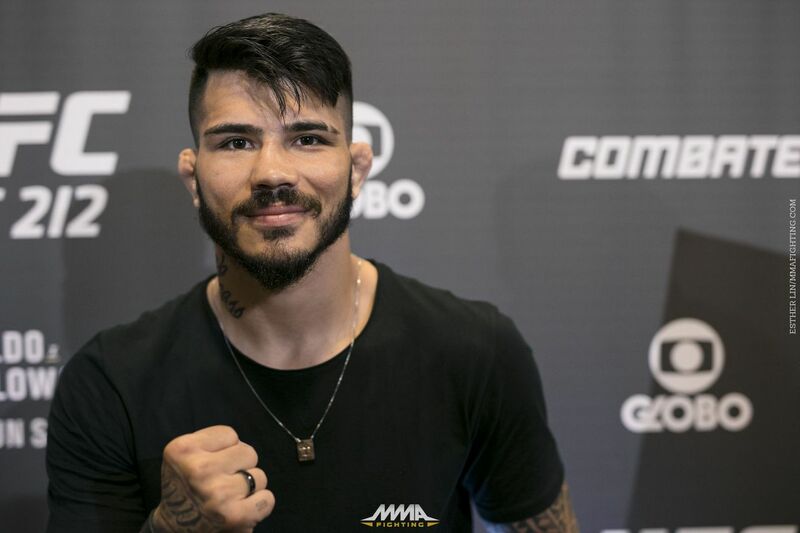 Erick Silva has a new date and opponent for his Bellator debut. The longtime UFC veteran is scheduled to face unbeaten Yaroslav Amosov on the main card of Bellator 216 on Feb. 16, promotion officials told MMA Fighting on Thursday. The event takes place at the Mohegan Sun Arena in Uncasville, Conn.
Silva (20-9, 1 no-contest) was originally booked to make his debut against fellow ex-UFC fighter Lorenz Larkin at Bellator 207 last October, but was forced out of the bout due to an injury. “The Tiger”, who went 7-8 under the UFC banner between 2011 and 2017, scored a comeback victory over Nick Barnes at LFA 45 in July before signing an exclusive deal with Bellator. Amosov (20-0), a 25-year-old welterweight from Ukraine, defeated Gerald Harris via decision in his first appearance in the Bellator cage last July. Before joining the company, “Dynamo” won 19 in a row with 17 finishes in the European circuit. Bellator 216 will be headlined by Paul Daley vs. Michael Page in a welterweight grand prix quarterfinal bout. The main card also features Roy Nelson vs. Mirko Cro Cop and the return of former Bellator heavyweight champion Vitaly Minakov against Cheick Kongo in a No. 1 contender clash.